This is the passenger side engine mount for 4 cylinder MK4 applications. This billet mount is CNC machined from 6061 aluminum, with a polyurethane insert. 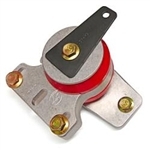 This is the driver's side transmission mount for MK4 applications. 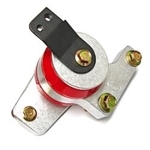 This billet mount is CNC machined from 6061 aluminum, with a polyurethane insert. 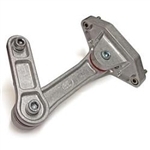 Audi TT 180/225 Your OEM engine mounts were designed to dampen most of your engine vibrations for a smooth, comfortable ride. When it comes to performance, they are not so great anymore. They cause your engine to move under hard acceleration, and hard shifting. That slop decreases stability and comfort under these conditions. That's why VF Engineering has designed their line of engine mounts, with performance in mind. This is a billet dogbone mount for MK4 applications. This mount is CNC machined from 6061 aluminum, with polyurethane inserts.